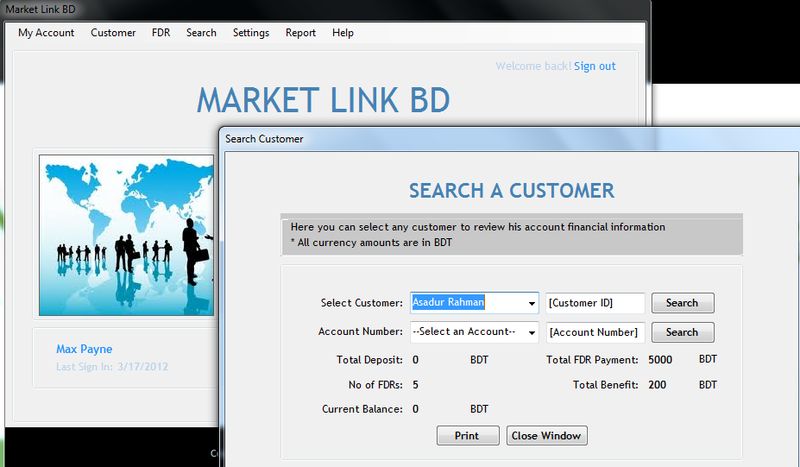 MLMBD Account Management System is a windows based application to manage client accounts. Administrator can manage fixed deposit amounts and other account management related activities through a secure admin module. Application is developed in Microsoft .Net platform.